MOSCOW, November 1. /TASS/. Patriarch Kirill, of Moscow and All Russia, has asked the President of the Islamic Republic of Pakistan Mamnoon Hussain to pardon Christian woman Asia Bibi, sentenced to death by hanging. The Lahore High Court on September 16 upheld the death sentence a court of lower instance passed on Asia Bibi, a mother of five children, who has long been under arrest for insulting the Islamic prophet Mohammed, a charge she denies. “Asia Bibi’s execution would be an irreparable loss for her family, relatives and friends, cause tremendous harm to the Muslim-Christian dialogue and might trigger a surge in tensions between Christians and Muslims in Pakistan and the world over,” Patriarch Kirill said in a message his press-service published on Friday. 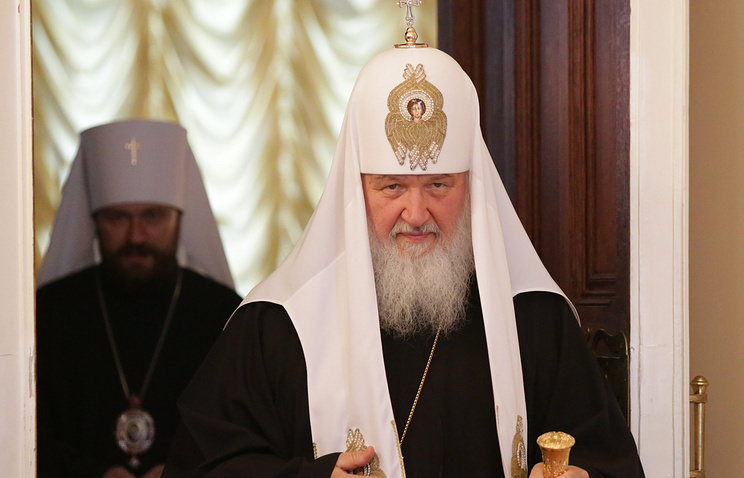 “I am certain that the political leaders of any modern state are expected to be aware of their responsibility for the fate of the religious minorities they are entrusted with,” Patrairch Kirill said. He pointed out that the Russian Orthodox Church was greatly worried by the latest court decision. “Our multi-million congregation is joining its voice to the chorus of calls by an enormous number of people around the world for preserving the Christian woman’s life. On behalf of all believers of the Russian Orthodox Church I am asking you, Mr. President, to pardon Asia Bibi,” Patriarch Kirill said, adding that he sincerely hoped the Pakistani president would display clemency. Earlier, the general secretary of the World Council of Churches asked President Hussain to pardon Asia Bibi.